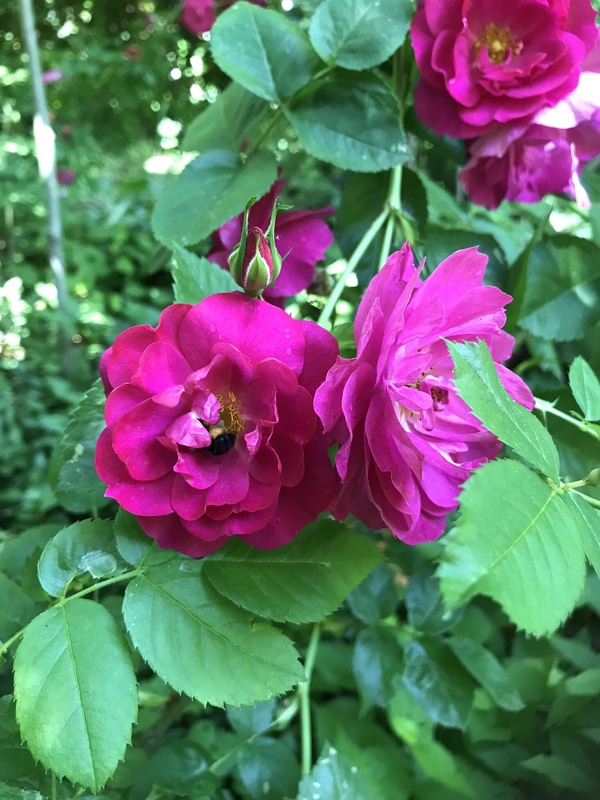 Mother Oak's Garden – Eco-friendly gardening and design with native and naturalized plants on Long Island's North Shore. The Beauty of Spring is Here! It’s amazing how quickly the plants rebound after the bleak, cold of winter’s grip. And they burst forth which such gusto! Making use of every bit of sunlight coming their way. The early blooming flowers delight the emerging insects, a diverse bunch of invertebrates, which include bees, wasps, flies and of course ants. All of these pollinators are looking for breakfast. What are you serving? Contact us to find out how you can add this wonderful mix of wildflowers, herbs and ground covers to your pollinator-friendly garden! 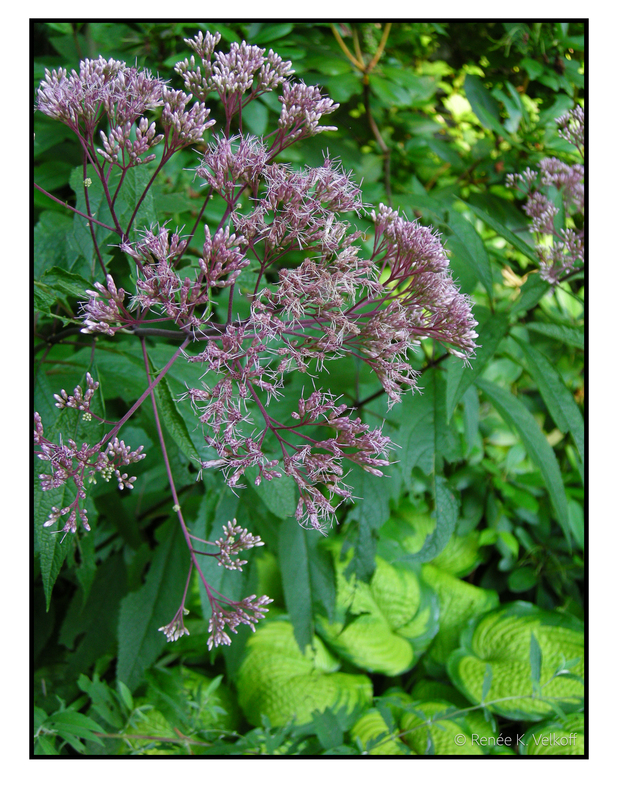 We have just gotten in an exciting group of perennials and herbs for your garden! We have a lovely assortment of violas, creeping phlox, creeping thyme, and other perennials to which support pollinators. 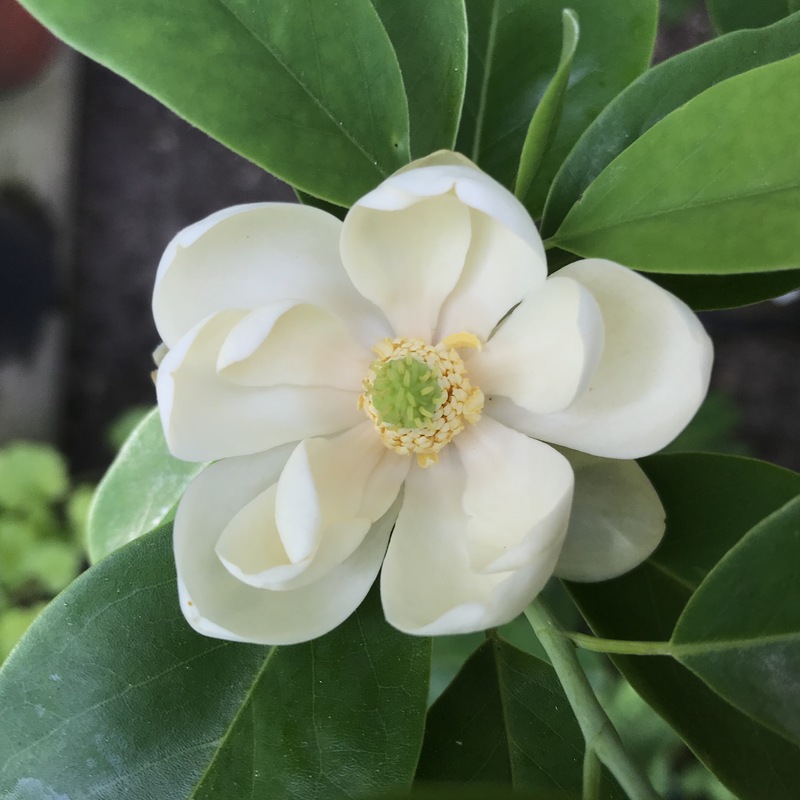 Preview the plants we have available on our Products page, or better yet, make an appointment to stop by and pick out plants for your garden. Our Spring 2019 Plant List is ready. 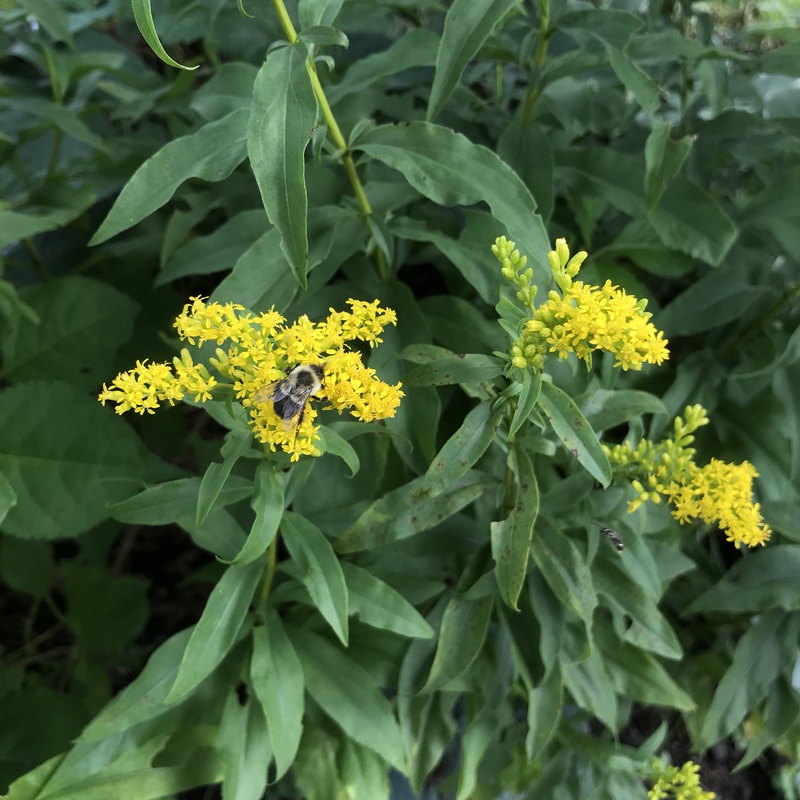 Schedule a day with us to stop by and pick up your new shrubs, perennials and ground covers for your new pollinator garden! European ginger with Iris cristata. Violets and dandelions in the background. Get ready, get set… Plant! Within the last week or so, spring has pushed forth; new shoots of daylilies, onions, dandelions and iris poking out from the leaves. Daffodils, crocus and forsythia, following. Now is the time to pull back the leaves on the ground, which have lain there since last fall. The soil underneath has been covered with a new layer of compost. As the leaves and debris is collected into the compost pile, seed heads, twigs and mosses are scattered by the wind, where they can renew the woodland floor with fresh seedlings. It’s best to rake leaves now into the compost pile, before the spring plants are fully emerged from the soil. Now is also, the time to observe the “bones” of your garden. Where will the sun be obscured by shade during the summer? Where will future understory trees and shrubs benefit from morning, or late afternoon sun? Are there invasive species such as English ivy, vinca, pachysandra, euonymus, Bradford pear or Norway maples on your property? These species overrun native plants, which deprives local birds, native bees and other insects of the foods which they eat in order to survive. You may want to consider replacing these plants with species better suited to the north shore of Long Island. Thoughts of Spring During the Dead of Winter. How many of these plants can you identify? As I look forward to seeing all of the plants in the garden reawaken in the spring, this particular image of green leaves on my desktop caught my eye. It reminded me of how important it can be to have a green carpet underfoot; not just one composed solely of Kentucky bluegrass. 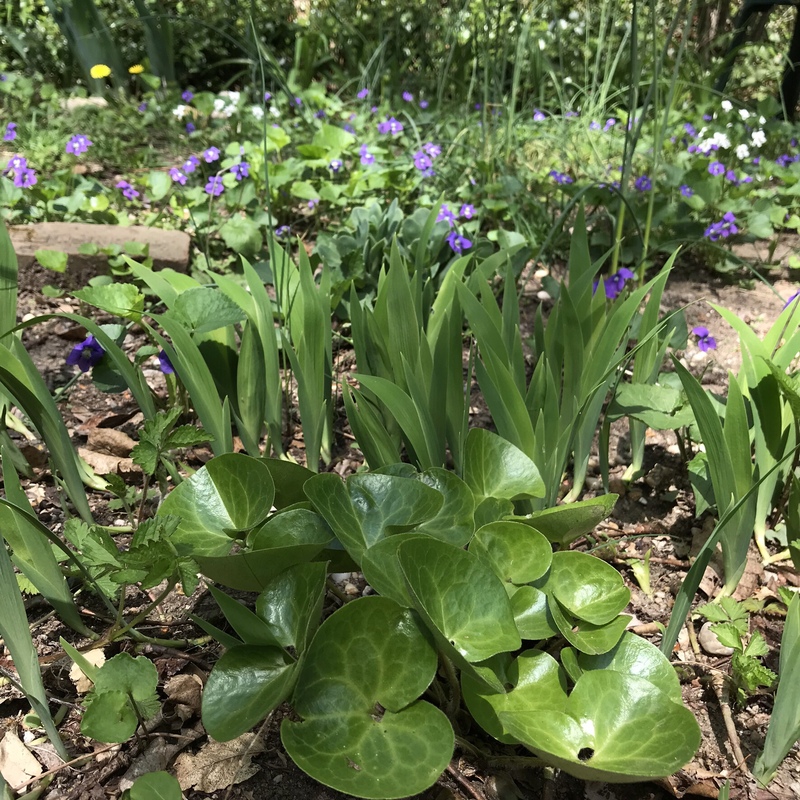 Originally, this garden bed in my shady, woodland garden located adjacent to a grass path was planted with a running cultivar of foamflower and hosta. But as the years passed, other plant species naturalized and took up residence. A reading of the plants in the image above reveals how quickly various species can interact to create a unique, walkable palette. Two species of native trees, black cherry and chestnut oak, have anchored themselves in the garden bed, along the left side in the image. Someday, they may replace the mature specimens that already exist nearby. A small Norway maple hopes to dominate the scene, but will not last long on this property! Norway maples are invasive, to say the least, and should be removed. Native vine five-leaved Virginia creeper meanders throughout the ground covers, interspersed with non-natives Duchesnea indica, or mock strawberry, which is often confused with wild strawberry and ajuga reptans. The perennial stalwart which has taken up residence at the top in this scene, is the native white wood aster, a Long Island perennial well suited to the dry, sandy woodland soils found along the north shore. Finally, a sprinkling of golden creeping Jenny splashes across the steps on the right. Another non-native, it escaped from a pot of annuals a number of years ago, and been held in check by the occasional plunge into the deep freeze. Throw in some sedges, mosses, and violets, and a groundcover that is easy to care for can replace “lawn” in those woodland, shadier places of the garden. Tiarella ‘Running Tapestry’, Asarum europeum, Uvularia grandiflora, Dicentraspectabilis, Smilacina racemosa aka Maianthemum dilatatum, Geranium maculatum, Iris cristata, Japanese Painted Fern and Ajuga reptans. 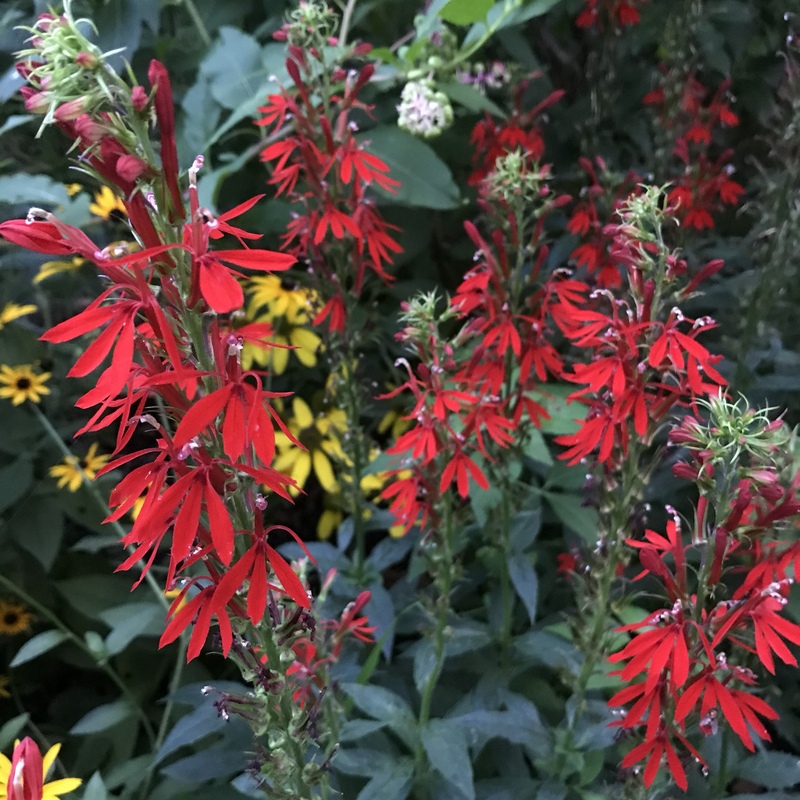 Over the years, the garden has transformed from a partly sunny area, where many flowers and herbs could manage with part shade; to a dense, shady retreat that is dominated by foliage standouts and undemanding flowers and shrubs. Hostas and daylilies were favorites for years. But as the shade encroached, the daylilies were crowded out, and many hostas were at risk of being lost under the rhododendrons. Furthermore, as many trees grew and aged, some suffered significant storm damage from the brutal nor’easters that dumped heavy snow in the spring. 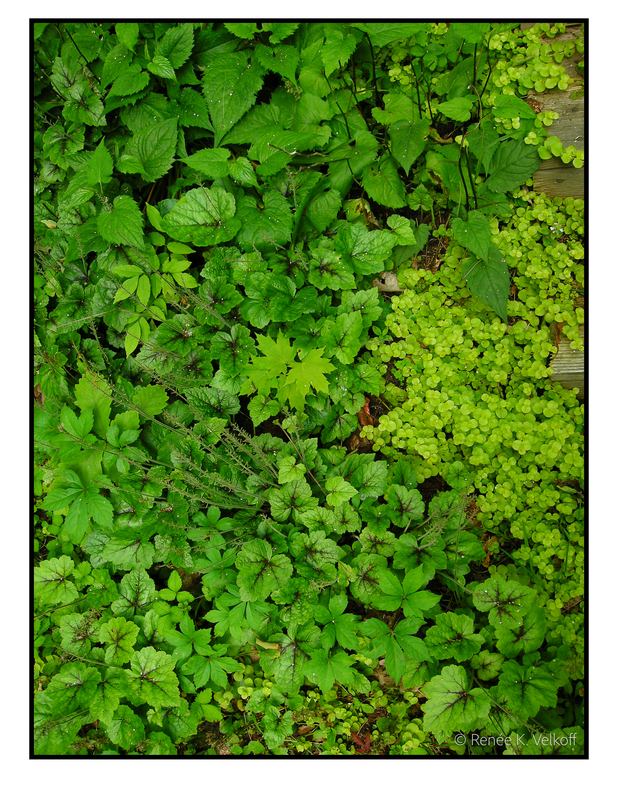 But leafy ground covers help to add textural interest along the ground. Goatsbeard, Lenten roses, tall phlox and ferns have meandered around the garden, filling spaces where the less sturdy succumbed to the elements. Does your property need to be transformed? Message Mother Oak’s Garden today and make an appointment for a landscape consultation. Many villages and towns, such as Northport on the North Shore of Long Island, have strict regulations governing the removal of trees from one’s property. Existing trees, especially large stands of good-sized trees (24″ caliper and larger), provide many benefits to a community. From providing shade from the hot sun during the afternoon, to a place for birds, mammals and insects to carry-on the daily tasks of living: collecting food, building nests, rearing young. By removing just one tree, habitat for hundreds of different plants and animal species can be destroyed. This can have a far-reaching impact on the overall local ecosystem. So when considering the removal of trees from your property, think about what you may lose when you cut one mature tree down. Be aware of which trees are more beneficial to an eco-community than others. Planting and conserving native trees helps to provide cooling shade in the summer, beautiful fall color, winter interest during the snowy months and habitat for native, Long Island species. Mother Oak’s Garden can help you create and draft a plan the for the woodland, shade garden you desire. Our ecologically responsible design services are thorough; from site analysis to completed design. Contact us today to schedule an appointment with our designer. Check out this video of a bumble bee “buzz collecting” pollen! Bumble bees are solitary, ground-dwelling native bees that are excellent pollinators. 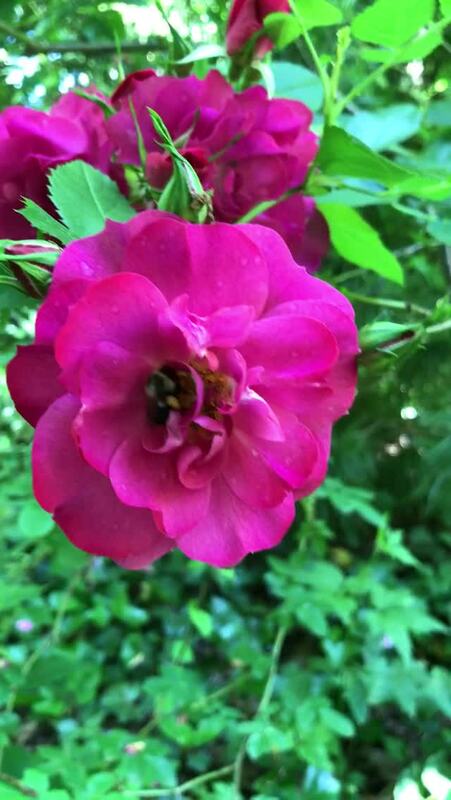 Check out this bumble bee gorging on the pollen in a rose blossom.